Zeolites are materials used in households, agriculture, medicine, water abatment, oil refining, etc. But there is little information about how they might affect living beings. We will study the effect zeolite nanoparticles have on zebrafish embryos. Zebra fish are model organisms so we will be able to provide data on the safety of zeolites usage in everyday life and industry. The results will contribute to assess the potential impact of zeolites on health. Zeolites are porous aluminosilicate materials with a range of applications in various fields of human activities. They are used in detergents, agriculture, medicine, water purification, oil refineries, etc. 1. In 2014 the annual production of zeolites was above 3000 kilotons and is expected to grow until 2020. The global zeolite market value in 2014 was USD 3.5 billion and in 2020 should reach USD 4.5 billion 2. Many studies on improving their properties and performance in a certain field have been performed 3. However, the knowledge of their direct impact to the environment, living beings and humans is scarce. Herein, we plan to study the effect of zeolites on zebrafish embryos. Previous investigations showed zeolite nanoparticles exhibit any effect on cell viability. Since zeolites are widely used it is imperative to establish the possible effects of zeolites on the specific ecosystems and the living organisms present therein. So far a few studies for the purpose have been performed, mainly assessing their cytotoxicity. It was found that zeolite nanoparticles exhibit any impact on the living cells. It is necessary to carry out extensive studies testing different zeolite materials materials of different properties. Since zeolites are so thoroughly used in both household and industrial processes, understanding potential hazards to human health or the environment is critically important. The goal of the study is the evaluation of zeolite nanoparticles toxicity towards model representatives of vertebrates, zebrafish. Zeolite beta nanoparticles are going to be synthesised. Their properties (structure, size, shape) will be analysed by various techniques such as microscopy and X-ray analysis. Thereafter, they are going to be placed into growth media of zebrafish embryos. The embryos will be followed in the first 72 h of their development and the changes in their behaviour will be recorded. The data will be statistically analysed and a conclusion on the potential toxicity of the nanoparticles will be made. The budget items are essential for the successful execution and completion of the project. Chemical reagents are necessary to prepare zeolite materials and to make embryo toxicity tests. Zeolites are prepared at elevated temperatures so the convection oven will be purchased. While performing lab work consumables are always needed. Further, analyses by various instrumental methods will be employed to measure the properties of the prepared materials in order to evaluate properly their influence towards zebrafish embryos. I find the subject very interesting and up-to-date with present interests for zeolites applications in different fields. The proposal is well written, the plan of realization is well done. 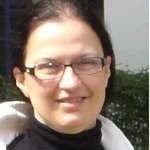 Since I know Ana Palcic as a serious and eager researcher I find that this project can bring new scientific findings. I am particularly interested to see the results, since I find that a critical view on the application of zeolites, and one overview on the impacts of zeolite usage on living organisms is necessary; hence I give it strong recommendation. The purchase of items necessary for the experiments will take approximately two months. Two months are required to prepare and characterise the nanosized zeolites and additional two months to perform the toxicity tests. Finally, it will take about one month to analyse the collected results and treat the data. The second member of the team, Sanja Babic, Ph.D., will perform the toxicity tests. She is a biologist with experience in standardised toxicity tests and had participated in making the new environment legislative in Republic of Croatia for heavy metals. We work at the same institute and discussed intensively the environmental hazards of nano materials. My name is Ana Palcic, Ph.D. I have obtained my Ph.D. degree at the University of Zagreb Croatia and worked as a post-doctoral fellow at the LCS, University of Caen, France. Currently I am research associate at the RBI Institute in Zagreb, Croatia. For ten years now I have been working on the preparation and characterisation of porous materials, particularly zeolites with the aim to improve their properties for catalytic and other applications. Indeed I was privileged to learn from and work with eminent scientists in the field whose knowledge and enthusiasm are a constant inspiration and had made me passionate about zeolites. I enjoy making experiments because they are fairly simple, and yet the slightest change can have a profound impact on the final product. Many times the results are totally surprising, but still can be explained when all the factors are taken into account. The proposed project is a result of discussions with my colleague S. Babic, Ph.D., biologist. She makes toxicity tests and we have realised there are almost any toxicity studies on zeolites. Since zeolites are present in the products we use and are employed at large scales in industry, we believe it is important to make ecological assessment of these materials. 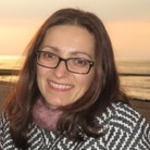 I worked on the synthesis and characterisation of nanosized zeolites 1, 2 and Sanja has a lot of experience in making environmental studies 3. Hence, we believe we are qualified to complete the project and that the results are of interest not only to the scientific community, but to the rest of society as well.